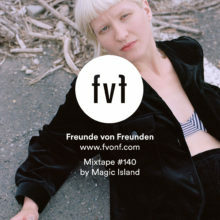 Freunde von Freunden is a Berlin-based independent and international publication documenting inspiring people from diverse creative and cultural backgrounds from all over the world. You genuinely love and be practiced at the craft of writing – it’s not just something you picked up to support your other pursuits. You’re a self-starter who can see needs before they arise and make suggestions before others do – then own those tasks and see them through in a busy environment. This position is only open to fluent German speakers with a keen understanding of German grammar and style. Fluency in English is indispensable for communication around the office as well as translation tasks. Should be Berlin-based (or willing to relocate on short notice). 4. Link us to an online article you’ve read this summer that you think pushes the boundaries of digital storytelling and tell us why. 5. FvF is all about diversity of styles. Name two potential guests from completely different fields, tell us why they are interesting, then suggest a location for the two to meet and debate a topic of your choice. Duration: Six months for students, three months for non-students. If you would like to apply, please send an email to jobs@freundevonfreunden.com. Include the words “German-Speaking Editorial Intern Position” in the subject of your email. We’re looking forward hearing from you.